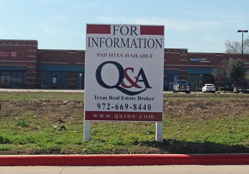 Quine & Associates, Inc., is a full service commercial real estate firm based in Dallas/Fort Worth. 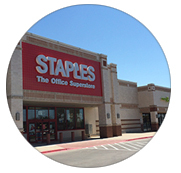 Specializing in retail properties, we offer our clients professional services from investment property acquisition, disposition and analysis to the day to day property management and leasing of your retail and/or office projects. 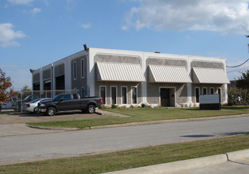 Quine & Associates, Inc. was established in 1978 and for 40 years has built a strong loyal client base, which has enabled Quine & Associates, Inc. to exclusively manage and lease over 140 properties with approximately 7.0 million square feet of Gross Leasable Area located in Texas and Oklahoma. The cornerstone of the Quine & Associates operation is the belief in, and practice of, individually tailoring management, leasing, accounting and reporting to meet your standards – no matter how large or small the portfolio. Please consider us as your first choice in meeting with real estate needs. Our experience and extensive market knowledge will allow you to better position your investment, thus maximizing profits. 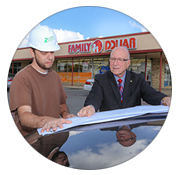 Quine & Associates’ success in many markets is our ability to find opportunities that create value for center owners. 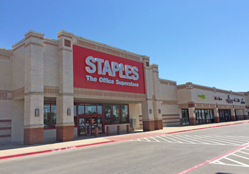 Through expansion, redevelopment and capital improvement, we increase occupancy, lease rates and lease terms and have transformed under-performing assets into shopping centers at the forefront of their communities. 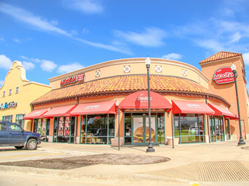 Whether it is additional land to be developed – or remodeling for curb appeal and to attract new tenants – we can facilitate turnkey service from design through construction and tenant occupancy.